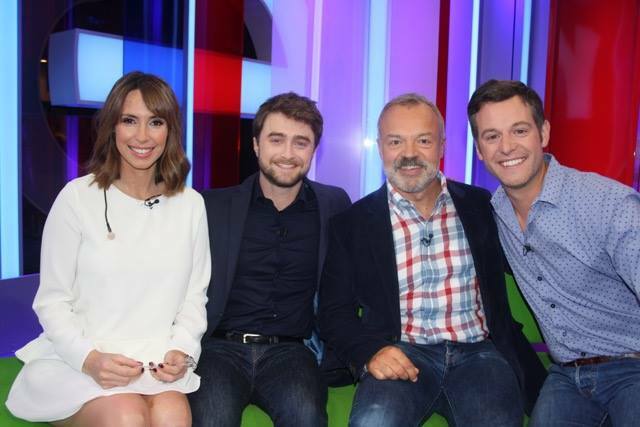 Daniel promoted Swiss Army Man on BBC One's The One Show tonight. If you missed it and you live in the UK you can watch it on iPlayer (29 days left). If not there are a few clips below. They also showed the Live & Kicking (1998) clip. 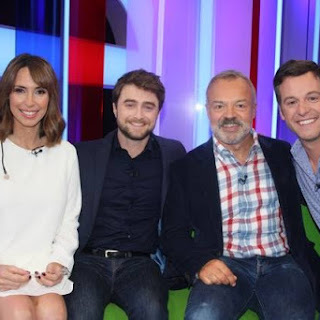 Graham Norton and artist Jim Kay, who illustrated Bloomsbury's Harry Potter and the Chamber of Secrets, were also on the show.